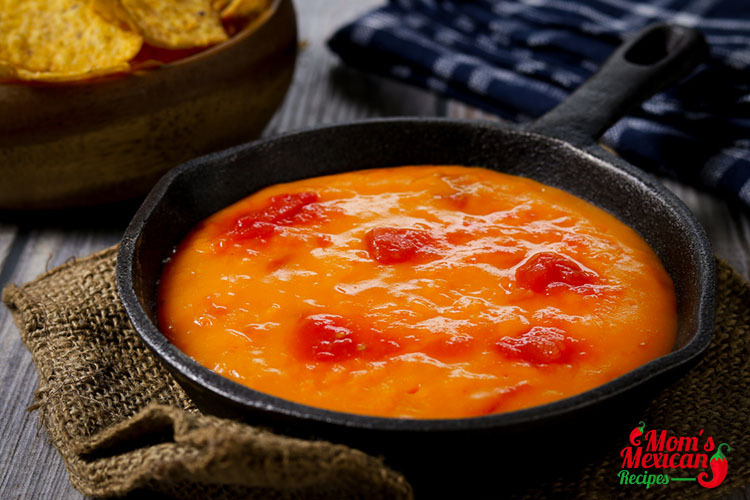 Chile con queso or queso is a Tex-Mex dip which consists of melted cheese and chili pepper and served with tortilla chips.This 6 Ingredients Traditional Yellow Queso Recipe is a version of Queso which is made special by combining only a few ingredients which results in a smooth and creamy texture appealing to any palate. 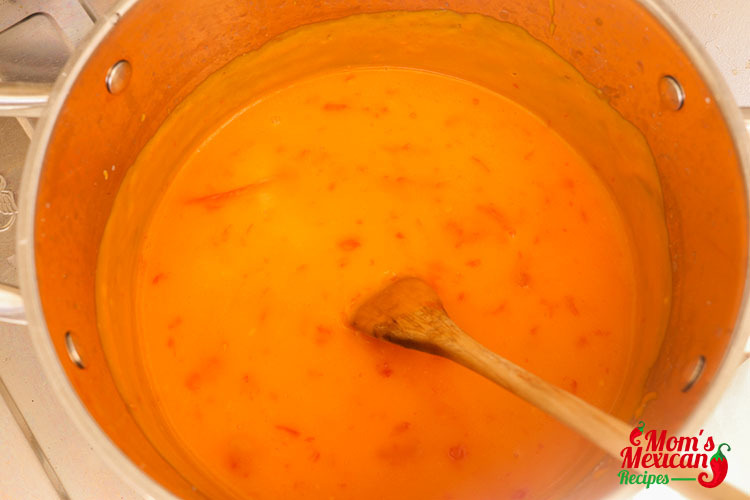 It makes use of mild Cheddar, yellow American cheese, cream cheese, sour cream and canned tomatoes along with some spices to give some kick. This kind of appetizer or side dish is a regular at Tex-Mex restaurants in Texas and other U.S. states but has also gained following from all over the world throughout the years. Some people use fresh chili peppers but in this case, canned tomatoes with chili peppers are being added to the dish. 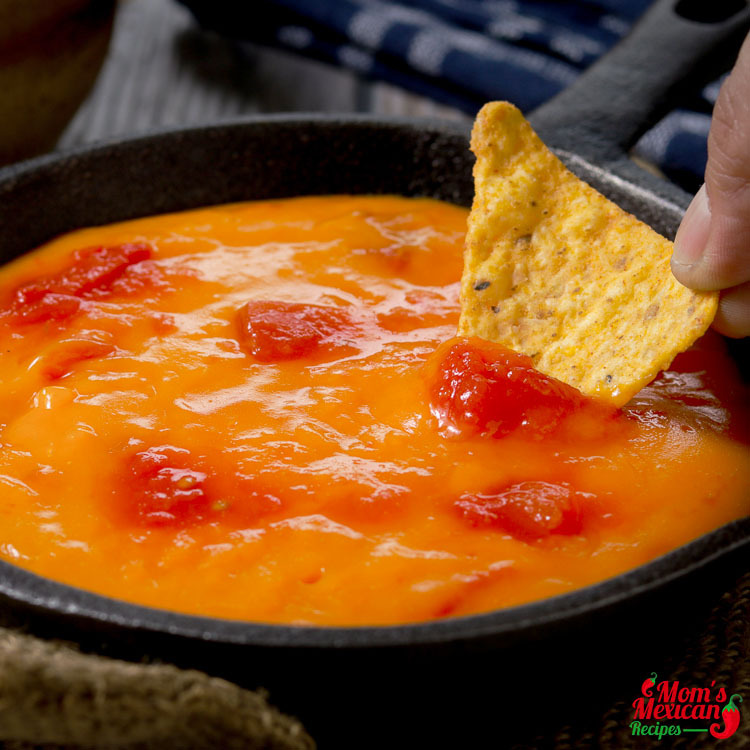 The Traditional Yellow Queso should not be confused with cheese dip because the latter does not make use of peppers. 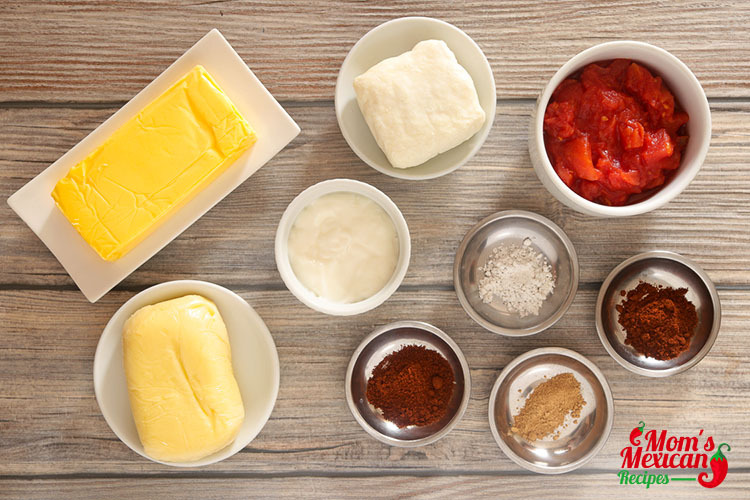 In Mexican inspired restaurants, Queso is served with Pico de Gallo, black beans, guacamole and ground pork and beef. It is also served warm and some even piping hot. The best way to eat this is by dipping tortilla corn chips or queso chips which are thicker and more special than tortilla chips into it. 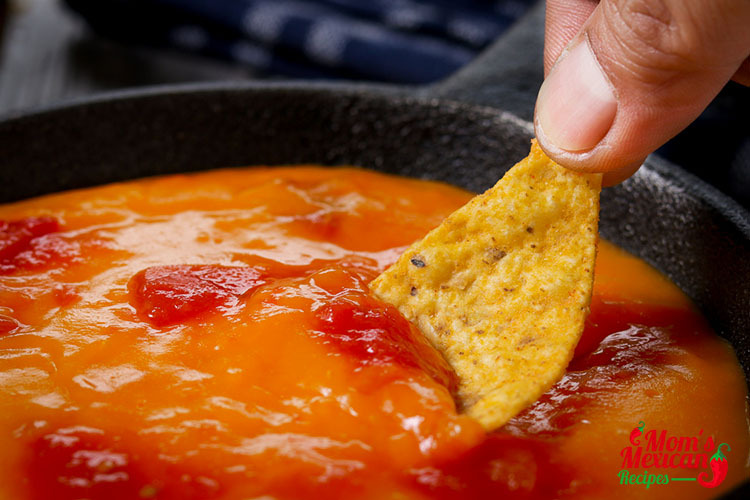 This yellow queso can also be used on fajitas, tacos, Enchiladas, migas, Quesadillas and other Tex-Mex dishes; when eaten with tortilla chips, salsa is also added. This version is a deep amber version even more appetizing. Combine all ingredients in a non-stick pot. Simmer over low heat until all of the cheeses are fully melted. Serve hot with chips or fresh Tortilla. 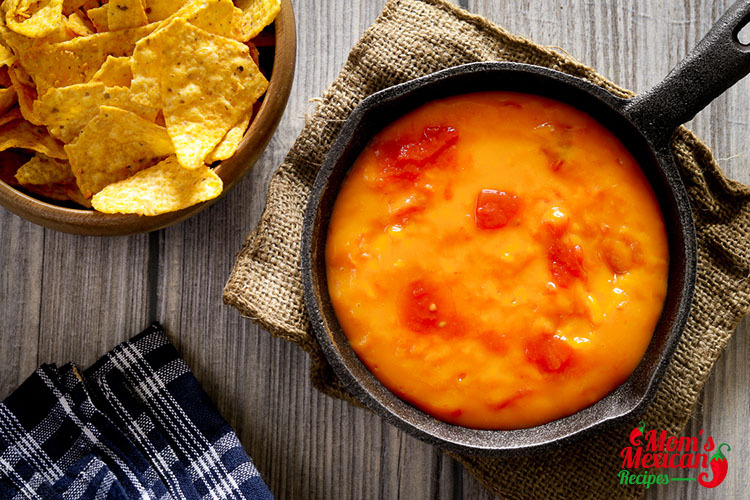 This Yellow Queso needs a little patience because unlike when you use Velveeta cheese that smoothens the sauce quickly, using real cheese in this appetizer makes it a little harder to make it smooth but just heat the cheese slowly and over low heat while constantly stirring can make the texture fine. Don’t forget to partner this dish with beer or if you don’t like alcohol, iced tea and eat with your friends when watching a football game.